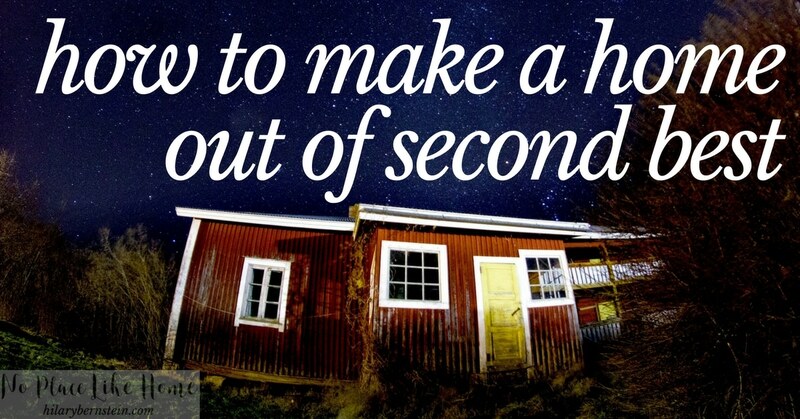 Like it or not, sometimes it’s essential to learn how to make a home out of second best. Have you ever had the idea of a “perfect” home in your mind? Are you currently living there? For many people, a dream home is just a dream. If you’ve ever watched HGTV’s House Hunters, you’ve likely noticed that prospective home buyers know what home style they prefer – whether it’s quaint and classic, or sleek and modern. For me, while I can’t visualize a specific house that would be my dream home, I lean toward a traditional, classic sort of home. But I’m not living there right now. My family is quite content in our 196o’s split-level … but the journey to our current home was a long one. After buying a small but ideal home right before we started our family, my husband and I had to sell and move right after our youngest daughter was born due to a job change. Our family of four moved into a two-bedroom townhouse for a year, then transferred jobs – and moved – again. We knew the move and job change was in a location we wanted to stay – so we fully intended on buying a house. Fortunately my parents opened their home to us while we were house hunting, and we were excited to search for the “right” house. So we started looking … and looking, and looking some more. We scoured the MLS listings and looked at 88 different houses in three different counties over seven months. That’s not a typo; we visited 88 unique houses. The thing is, we’re not that picky. It’s not like we insisted on granite countertops and walk-in closets and a particular amount of land and specific square footage. At the time we were incredibly motivated buyers and were open to any kind of live-able house in a relatively safe neighborhood. We just couldn’t find our home. It wasn’t for lack of trying. We put offers on five different houses, but nothing came to fruition … until we made an offer on our sixth house. Finally our offer was accepted. Finally we were in contract. Finally we were going to have a home of our own. But it was our sixth choice out of 88. It’s like having to ask six potential dates before finally going to the prom – you’re there and you’re having a fine time, but it’s not your ideal. We ended up buying our home because we needed a place to live and we didn’t think it was so bad. Not that we thought it was great. Not that we couldn’t wait to live there. It just wasn’t the worst that was available, and it had potential. Since taking possession of the house, we gutted it, cleaned everything, and have been living there for the past four years. After hosting dozens of parties and playdates and waking up on Christmas morning and staying up late at night and running through the yard catching fireflies and shoveling snow in the winter and doing our homeschooling there, it’s become our home. And it’s become our haven. Through our experience, I’ve learned that sometimes you need to make a home out of second (or third … or sixth) best. 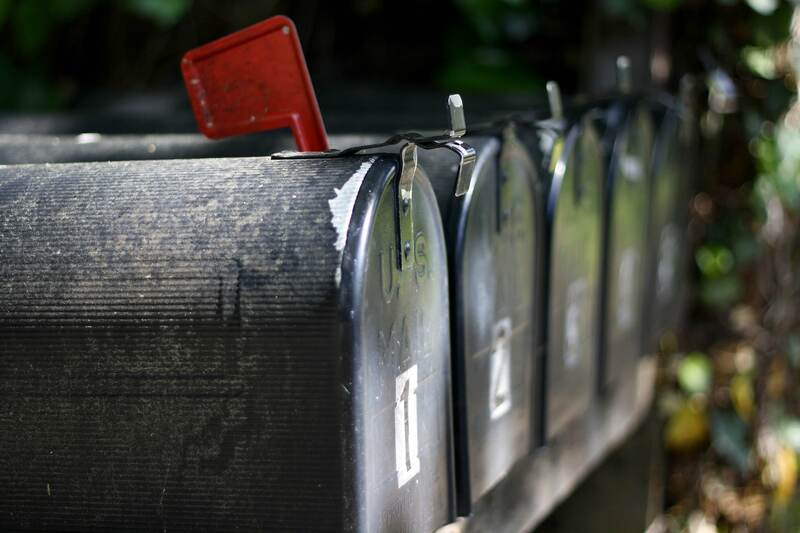 Now, I’m actually afraid of the thought of leaving it – even though I know I’d love to eventually move into the traditional house of my imagination – because we’ve created so many precious memories with our family within that space. So how can you make a home when it’s not your first choice? When you’re struggling with contentment over your home, remember that it’s just a place to live for a season of life. Your home is not your identity. You won’t spend eternity there. This earthly life will come and go. As good or as bad as it may be, you can’t keep it forever. Next, be grateful for the home that God has given you. Thank Him for your home when you’re praying throughout your day. Trust Him for putting you in this particular home. Ask Him to bless your time in this space. Once you’re focusing on a thankful, accepting attitude, then turn the space into your home. Don’t just leave things packed away because you feel like pouting. Objectively look at each room and think of your belongings. What would work best in each room? Use the things you love. After you’ve settled in, get busy making memories. Invite people over. Add some decorations during the holidays. Try to do things that make it a home – cook or bake or clean. (Even if your new kitchen doesn’t seem like it’s good enough for cooking or baking.) Plant flowers, even if you just get a lot of practice in container gardening. Meet your neighbors and try to invest yourself in their lives. Then give it time. Your new digs won’t feel like home right away. That’s just part of the moving process. But soon, you’ll get into a new routine. You’ll find where the light hits your kitchen just right in the morning. You’ll know where the coziest nook is to curl up with a book. You’ll take a nap on the couch and discover you can feel comfortable in this new space. As you settle into your home, it actually may become a haven you and your family look forward to coming home to. Slowly, but surely, this new place that wasn’t your first choice will become your home. And someday, you just may be disappointed when it’s time to move on. 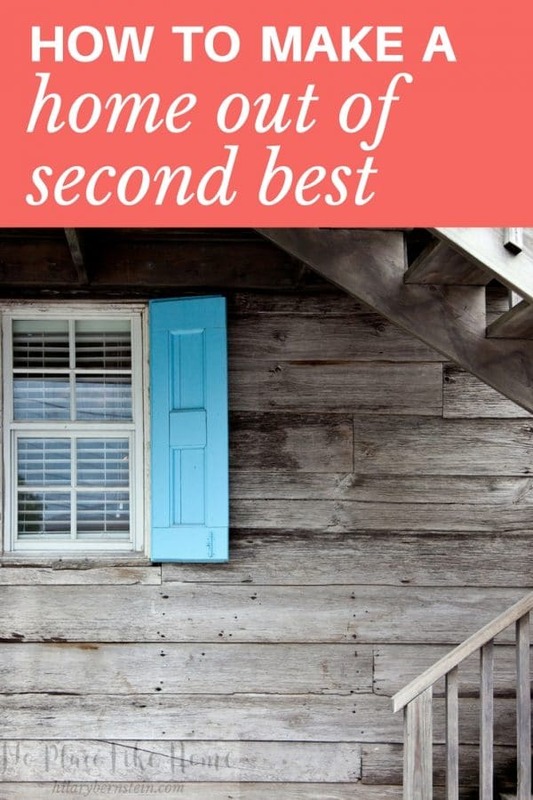 If you’ve had to make a home out of second best, what has helped you the most? All images courtesy of Pixabay and Pexels. So true! We have never been able to purchase a house (for many reasons) so we are in our 6th rental (in 6 different states; lots of reasons) I have sure learned the meaning of contentment. Square footage doesn’t make memories. Today, I live in southern CA & only God could have brought us to this location. He provided this house at the same rent as our (huge) home in AZ (which was the “fleece” my wonderful husband put before the Lord.) The rent hasn’t went up in all the years we have lived here, which just passed six. Sure, there isn’t a bathtub, the grout near the kitchen sink is falling out in chunks & the carpets are beyond cleanable & I think the termites are well fed. But, it’s the people living here that make this our home. Laughter, tears, & priceless memories are held within these walls. God has been faithful every step of the way. We just moved 2 months ago and we are so blessed in this new house. It has all our wants that we prayed for and so many details just fit perfectly. It was truly God’s special gift to us. Thank you so much for this article! About 2 yrs ago..we ended up with my/our dream home…old victorian…foreclosing….rented for a yr..& now living in the house I grew up in…my parents still own it…they live next door. This house needs a lot of work done to it…I have been looking at this house as second best….when I should be doing as you suggested…thanking God for providing us with a place to live…as we restructure our finances. This is our home…& it shouldn’t be rated by me as second best anymore. I whole heartedly agree. We were in a rental and the owner decided to sell. We got first offer on it, but the yard was too small, the town wasn’t safe enough and it was a 20 minute drive each way for hubby’s work. Which was draining on him. Especially when he regularly worked overtime. We decided to move back to the town we were both living in when we started dating and our two kids (at the time) were born in. I wanted a farm/homestead, he wanted something closer to town. We both knew we wanted a large yard with room for a vegatable patch, shed and enough room to allow for more kids. We didn’t care about having to renovate, paint or anything. We had a couple of months to find and secure a place. At the time there was maybe six listings in town. I went through them with my sister in law, and narrowed it down to two or a rental, due to the size of the yards. The house we moved into and are still in, is on the edge of town and on an acre of land. So it was a good compromise lol. The shed is the size of a small house and we converted an attached garage into two bedrooms giving us 5 bedrooms. We did look at building but there was so many hidden costs and time was an issue. We worked out that once we too out the cost of land, fencing, the shed and patio the house itself was almost free. It’s definitely not my dream home, it’s not what would have topped 1 on my list but it’s comfortable, we’re settled. It still after 8 years needs work. And we have toyed with moving but never really discussed it seriously. It’s more because when we first moved in, that was the plan. But we’ve come to love the location, the lack of passageways (I kid you not there is no passage or hall ways everything is off the main rooms. I hated it to start with. But have grown to enjoy the ease of heating and cooling). There’s also the memories, and our youngest was born at home in an unexpected home birth. And the little things have grown on us. The wood stained skirtings, the fernery down the side of the house, the bathroom off the kitchen and dining that allowed for me to still cook dinner while I kept an eye on my littlies are they moved into that phase of bathing alone. The sunroom off the lounge that most would deem a waste of space that’s now a toy room. The little nook opposite the front door that’s become a floor to ceiling bookcase. It’s become a home that I never expected, and one I doubt I will ever leave. I am loving what you said about unpacking. We still have boxes, and I have a junk room. A disorganised, piled high junk and gym room. That still needs gyprock on half a wall because we ran out of money. But I’m thinking it might be time to set it up as my sewing and gym room. Really settle in properly. Thank you for this! It could not have come at a better time. As a single mom, I bought a 100 yr old home in 2013 for my daughter and I. The house had been horribly neglected in prior years. In the short amount of time that we’ve been there, I’ve tackled more projects than most people do who have been in their homes for 15 years. It’s been an roller coaster of emotions for me as of late, but in reality, I guess it really is our “home”. I said when I bought it that I thought the house needed us more than we needed it, but I think it’s of equal value. My daughter loves it there. It’s home to her!! Thank you again for this much needed reality check. I love this! We are sort of in the opposite position. We’ve been in our “starter” two bedroom townhome for almost 10 years. Moved in as newlyweds and two kids later all we can do is dream of having more space for our family. I try so hard to find contentment but struggle. Me too….living in a rental we got when we got married 2 yrs ago, at that time it felt like an answered prayer but it now feels small and we need more space. I have been on a roll looking for a house but I have been having this nudge to make the most of what I have. How I pray for contentment. Praying for you and your contentment, Precious! I have been in my current home for 11 years. I still hate it. We do not have money sitting around or the time and energy to remodel ourselves. My kids have grown up on a house I do NOT like (17 & 20). I try to make it my “home” it just never works. It’s an older home (1960’s), no garage (we live in a burb of Chicago), we are on well/septic (so I can’t grow a garden), the basement leaks often due to sump pit issues which makes it stink of mold/mildue – I just don’t like this house. I want to live on a nice sized piece of land where I have space and my neighbors are not peering down into my house. I REALLY am trying to like my home, I just don’t. What do I do? Is there any way you could sell it and move, Tammy? When we moved out of state and away from our family and friends for my husband’s work, we had ONE weekend to find a home. My fervent prayer was that God would provide, and we would know without a doubt when we’d found the house for us. He didn’t disappoint! We were just leaving town that weekend, feeling let down, when we got one last call back to tour a house. We went feeling doubtful, but left feeling complete peace and excitement that we’d found our answered prayer! Time, stressful situations, and an ever tight budget took their toll. 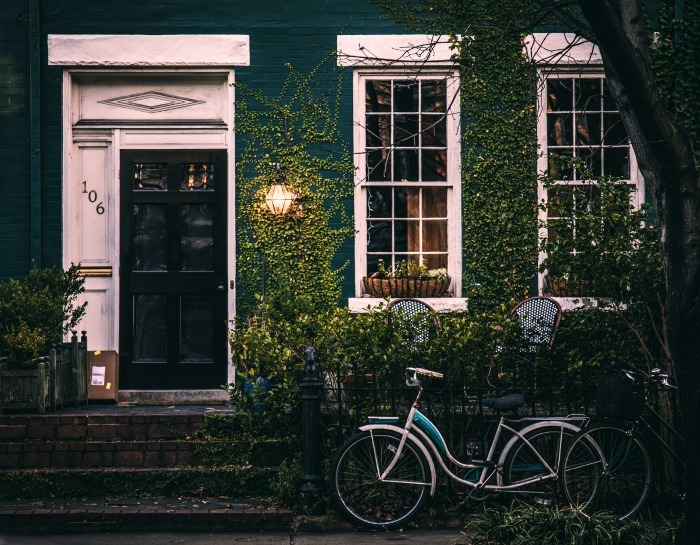 We’d bought an older home that felt dated, had little character, and had a musty smell that we could hide just until the next rain – I felt it reflected our depressed town, and reflected our life situation. We had dreamed of DIY projects that never came to fruition. Several years in, I switched being a full time mom of our four children to a working a full time job. I was overwhelmed with trying to keep up with household chores. I found myself saying “I hate this house” first as a quiet whisper and then as a mantra in my head. We finally got the opportunity to move back to our home state, but we were without a home of our own for over a year. We depended on the charity of our family to give us a place to live for 18 months, while we waited for our empty house to sell. Boy, did I miss it. I was no longer able to ignore my ungrateful attitude. I had to look at it straight in it’s miserable face. God had provided the gift we’d asked for, and I had rejected it. More over, I had to think of the effect my attitude had on my family. Even if I did my best to hide my feelings, I robbed them of what may have been the result of contentment and peace. Don’t get me wrong, my kids share happy thoughts and memories of their early childhood, and their home. But *I* know it should have been better. After our year and a half in “the wilderness” of our home state, God again answered our prayer for a home of our own in a way that left no doubt that it was his handiwork. The cost of living is more expensive. Our home is small and rented. But I love it. I work at loving it, and remaining grateful for it. Thank you for your article! I apologize for my long windedness, but it’s been cleansing to say these things out loud. I’m so glad you shared your experience, LeAnne. Even though it was a long and hard lesson for you to learn, I find such sweetness in the fact that you’re able to love and be grateful for the home God has given you now. Three and a half years ago I married my 3rd husband. He is the most wonderful man that I have ever met. We bought a beautiful home, the best home that I have ever lived in. We celebrated our wedding at our new home and created so many wonderful memories in such a short time. Just this past March we realized that our financial burdens had become too much and we decided to sell our beautiful, perfect home so that we did not have to foreclose. Our home sold quickly so the pressure was on to find another home within our much tighter budget. We found a house in my hometown near my work that everyone (my husband, my son, my realtor) said is sooo cute and charming. But I had a bad feeling about it. With the closing date coming closer we made the decision to buy the cute and charming house. Here is my struggle. I am grieving the loss of what my life was in my dream home with all the space, closets, bathrooms and central air. Our new house is quite old with old house problems…too many to list. I now have no storage, no space, 1 bathroom, a stinky basement and air conditioners that don’t seem to do the trick. I find myself repeating “I hate this house” on a regular basis and I can’t shake the sadness of leaving my dream home. I want to be grateful for all the steps that God took to get us where we are, but I struggle so much. We have only been moved in for 3 weeks so I have to give myself time to make it “our” home. I will keep unpacking my beautiful things and hanging family photos and remember to thank God everyday for my wonderful husband and for the opportunity to start over again. I will try to deal, patiently with old house problems and remember that this is just another phase in our lives. The timing of finding this article was just perfect. Thank you for allowing me to express my thoughts. It really is very healing to know of other people going through the same situations. My husband is currently in seminary and we live in a small 2 bedroom apartment on campus with our three kiddos. I know it can be hard to be content with small space and a growing family, but this article was such an encouragement. I will be sharing it with other seminary wives I know. Thank you for sharing!! 21 years ago, I moved with my baby girl and my (now ex) husband into my beautiful home. I loved that house and brought home another little girl there a year later. My ex husband however was abusive and when the girls were 9 and 7, I left my little house with my daughters. We lived with friends until I found another house. We lived there for three years, then moved into an old farmhouse my parents owned. We lived there for four years . In that time, I remarried to a wonderful man I have known since high school. My daughters and I moved into Brad’s bachelor pad. It was in rough shape, but it is slowly becoming a home. Brad and I are now entering empty nest stage. I struggle with discontent still and found some peace knowing I’m not the only one who has felt this way. Thanks for the great reminder. As a single, disabled 47 year old I can only afford to live in a low income townhouse. I’ve made it my own as best I can and I thank God daily for it, but it’s far from being my dream home. Finding contentment in the little things is what keeps me going. I most likely will never own my own home, let alone my dream home, but by filling this one with the people and things I love, it has become a home to be proud of.